Building a strong Montessori Community is one of the missions of IIMS. To achieve this goal, we have always tried to reach out to the larger society through various outreach programs. At the same time, we are trying to equip ourselves to work better through Trainer’s training and curriculum development programs. Our faculty conduct refresher courses for old students and workshops for the members of Indian Montessori Association. Details of these activities can be seen here. IIMS has been involved in many projects over the years. Some are still on going, and others were short projects which have been completed. We have transferred all those projects which do not require training in all areas of the curriculum to the IMA. 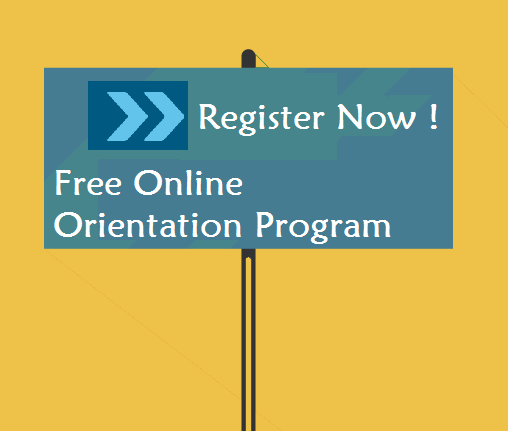 IIMS also works with IMA in conducting and organizing various workshops and seminars. As a part of our building bridges with the local community, IIMS participates in the bi-annual program of IMA, Metamorphosis. We hope this spreads awareness about the Montessori Method in the non-Montessori world. IIMS understands the importance of education and believes in education for all, irrespective of the economic and social background a child hails from. We understand that there is a lot of criticism against the Montessori method since it is space – intensive, material – intensive and training – intensive. It is felt that There are many children who cannot derive the benefit of the Method due to their socio-economic situation. IIMS is trying to develop a program whereby the spirit and the principles of Montessori Method are kept intact, while adapting the other requirements to suit the local needs. Hosa Chiguru and Me too for Montessori arose from this vision. The institute conducts various outreach programs especially for children deprived of quality Education due to lack of proper resources. These programs are mainly carried out with the assistance of other schools and NGOs which share similar interests. IIMS actively participates in ‘Metamorphosis’, a Montessori forum, involving parents, teachers, various schools and material manufactures. IIMS initiated the project ‘Hosa Chiguru’ with the idea of taking Montessori Method to the children of various Schools in Bangalore. Having collected the required resources and materials, the initiative was implemented in two private aided schools which also catered to children from similar socio-economic backgrounds. children showed a clear improvement in their learning ability. The successful outcome in these schools led to the introduction of this initiative in two more schools in Mysore. Smt Aparna and Smt Gowthami have been actively involved in this project. They are assisted by Smt Manu and Smt Firdouse Waseem. Under the program, we are working with various Schools. In each school we took up, we began with a pretest, just to fix the levels of children in our care. We assessed them on the most basic aspects of the two major areas of learning – reading and writing skills in Language and Maths. We found that most children were able to do rote writing or reading of either the letters or numbers. Number of children who could come up to unknown words was low and those who could complete all levels of writing was even less. In numeracy, the number of children who were able to read and write numbers of the first two hierarchies was also generally low. Low cost Montessori Materials, stationary, etc were acquired to cover the program. In many cases, they were also innovated. Training was given to the teachers in short modules. A session of theory was followed by introduction to the subjects covered and demonstration of the usage of the materials. Assistance was also given in keeping records, observing children and monitoring progress. Click on the name of the School to find out more. Mahila Mandali Kannada Primary School is a Government aided school. This school provides free education to the children of two orphanages as well as children belonging to Scheduled castes and scheduled tribes, along with their regular group. Number of classes identified was first and second standard, and number of children, 52. Work with children was initiated from 21st October 2009 and worked for an effective period of two months. We re-started in 2001 – 11 for an effective period of 6 months, including third standard this time. Data on the progress of children will be published shortly. However, we are very proud to announce that the teachers of Mahila Mandali have achieved a tremendous progress in the quality of education they provide, under our guidance. We have here a story authored by one of their children. Question: Write a story of your own, using the words ‘elephant, girl, jack fruit, money’. An elephant was going in one city. As it was walking, it saw a girl coming towards it. She saw a jack fruit tree there; she asked the elephant to pluck the fruits. She sold them. She built a house with the money she got. The elephant and the girl lived happily. -By Vasudeva, 8 years, 2nd standard. We, (Nandini and Aparna) visited the school on Friday, March 18th. We observed the children enthusiastically reading and writing in Kannada and English, doing map work with complete concentration, taking turns while adding quantities upto 10,000, working together in a group division, quietly immersed in squeezing water from a sponge, confidently asking teachers for help when required… Oh! It was wonderful to be with the children and their teachers. 10 months ago, July 2010, Hosa Chiguru entered into a partnership with SCUBS and VV. Today, those children have taken charge of their learning, showing the teachers what and when they need to learn. Some are able to read the Kannada newspaper, mechanical, of course, but read definitely. In fact, one parent exclaimed “I don’t mind paying the fees of 7000/-, as my child can read not only the text books, but also the newspaper!” . When we asked for some volunteers to read to us – a long queue quickly assembled at the book box at our sides, eager and thrilled at the chance to read! They are not as fluent in English, well, at least not yet… In Arithmetic, they have been introduced to all the 4 operations of addition, subtraction, multiplication and division. They have great big cheesy grins on their faces when their sums or products reach a Ten Thousand. They are thrilled to distribute the units, tens, hundreds and thousands while doing a group division and subtraction. They have not committed these basic math facts to memory, but again we can say, NOT YET! We shared these observations with the President and Secretary of the Trust and they asked us if we could take on the school till….Std TEN. Needless to say, being a lot more conservative, we agreed to work with the 1st Standard from next academic year, and have promised to explore the possibilities of a Math and Language programme for the 2nd Standard. The President, Smt. Pramoda Devi gave us the feedback that that the children were no longer so noisy, and it now often feels as if there are no children in the school. She related that during the preprimary annual day this year, the children were amazingly confident on the stage, more confident, she felt, than she herself! The Secretary, Shri. Mahesh Urs shared with us that the parents are very concerned about the children who are moving up into the 1st Std this year, and are reluctant to continue in the same school unless the standards in the primary can be on par with the preprimary. A case of children modifying parental expectations, eh? 1. Empowerment of Kamlamma, the assistant – The teachers had asked Kamlamma, whose husband works at a printing press, to cut cardboard for their personal sets of MA. In exchange, they decided to make one for her to use. When her husband questioned her need for a set, she confidently explained to him that she knew how to use it and would do so to help her children. In fact, Kamalamma is very comfortable giving presentations and is able to handle the class when one of the teachers is absent. 2. Level of each child – teachers felt that in the past, while using the traditional method of teaching, they had only a 25%-30% clarity on the group’s actual learning level. Whereas with the Montessori method of “learning” they are almost 75%-100% sure of each and every child’s learning level. 3. Mentoring and enthusiasm of children to learn – They also shared that with the mixed age group, the older ones inspired or mentored the younger ones to independently ask for presentations, and be enthused by and enjoy working in the classroom. They have never experienced children asking to be shown something. They see a major shift in the responsiblity of learning towards the child, and this enhanced teacher enjoyment as the “burden of teaching” was off her shoulders. With all the preliminary information in, it has all in all been an excellent year, and we look forward to working with the 1st Std. next year. On 6th March 2011 at a meeting at Mysore, parents shared their joy at the reading of any material, be it newspaper or TV announcements, by their children. They were happy that this learning was acquired spontaneously, joyfully and with ease, through free choice, with no stress or compulsion either on them or on the young ones. See the video to hear their feedback in their own words! Ranga Rao Memorial School for the Visually Impaired is a free residential school for visually challenged girls from economically weak background. Academically the school coaches up to the seventh standard and is recognized by both State and Central Governments. Currently this residential school has 60 students. Apart from regular school curriculum, the dedicated, well trained, service oriented teachers endeavour to impart knowledge in life skills, music, dance and basic cooking. Montessori Method, with its wonderful, hands-on activities with built-in control of errors, is sure to assist these girls attain independence faster. With the intention of helping these children IIMS has taken up Project Hosa Chiguru in this school since December 2011 under the coordination of Aparna Desraj Urs and facilitation of Girija Vishwas from the School. The challenge is not just offering the method. 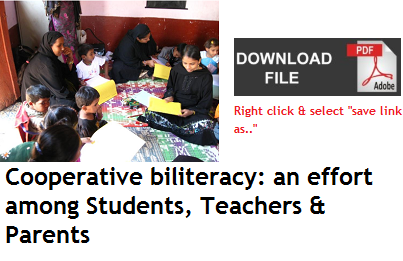 It is also adjusting it to the primary language of the children – Kannada. The material and the method will be adapted to suit the needs of these children as we go along, with the assistance of the management, administration and staff of the school. When an existing school wants to convert into a Montessori, it is not easy, since it already has infrastructure, teachers, children and a methodology every one is familiar with. This change can be done only through in-service training and implementation of small segments of the method, giving time for parents, teachers and children to get used to it. This is what we are offering in Me too for Montessori. Please click on the School name to read more. IIMS is currently working with the ICSE branch of Shanthiniketan School, Mico Layout and Bilekahalli by offering training and support at the preprimary level, so as to convert the school into a full fledged Montessori. Training is given to the teachers in the school premises. The training tenure varies, it is to be imparted over 3 to 5 years in instalments of half a day to 3 days, depending on the capability and ability of a teacher to adopt and adapt to the Montessori methods. Smt. Nethavathi is the trainer in charge at this institution. She is being assisted by Smt Ruchi Tiwari. The Shantiniketan Trust School, Bangalore was established in 1982. In middle 2010 the school management decided to make a radical shift in the method of educating the pre-primary children. They invited the staff from Indian Institute for Montessori Studies to help convert the pre-primary school (State board and ICSE curriculum) into a full fledged Montessori environment. The process began in October 2010 with a three day orientation program for all the pre-primary teachers, about 40 of them. However exciting the project sounded, we knew its best to take life one day at a time. First decision was to start with only the Pre-nursery & Pre 1 (Lower KG) children, leaving out the Pre II group (Upper KG – those who will graduate to 1st standard in 2010 -11). Since the teachers had to manage the class and working in the Montessori environment simultaneously we limited trainings to saturdays and a day or two during the week, of course after class. The first environment was set up in Mico Layout, ICSE wing, on 15th November 2010. The team included about 7 adults and 60 children. The second environment was started this January in Billekahalli with 5 adults and about 80 children. Initially the children used to come for 1 class (40 mins) everyday. The first few weeks were spent in settling down and finding feet, not only for the children but for the adults also. As the enthusiasm and the results grew the time was increased to 1 hour. I am really excited to say that from this academic year the children will be spending 2 hours each day in the environment. In the beginning the adult response was rather tentative as everyone was new to the process and the method. As they started working with the materials and offered presentations to children, their involvement, excitement, energy and the commitment towards the program grew manifold. I think the real change of heart happened as children in Mico layout started working with the Static part material, Movable alphabet and showed love for writing! The experiences and anecdotes shared across the teachers and management snowballed into more energy towards the method and more work for us! Based on the observation of the adult about 74% children have settled down with the new way of working, 60% are working independently, 67% are handling and using the material appropriately. This new method has developed confidence, concentration and independence not only in students but also for the teachers. Due to the freedom given to children in the Montessori method there is no stress or strain in learning, infact it helps them to identify share and work independently. When the method was introduced we were worried especially about completing the portions for ICSE and Montessori syllabus. Now we are happy to say that children’s work in the environment has made it easy to work in classrooms too. The writing work is done with ease and independence.Working with the Montessori method has helped the child become more responsible and independent. Earlier the children needed help to take out shoes before each class and to wear them back. Now they do it without the help from adults. The children fold their napkins in the same way as the sitting mats. Of course this is just the beginning and there is a long way to go…but small successes affirm our faith in the process and give us the energy to take bigger steps!!! This was my first journey out of the country, and I had to speak to a crowd which was largely non-English speaking. I accepted the invitation with a lot of nervousness, and decided to take my sons along for technical support. The program had come through the Consulate of India, and in a way I was representing both India and Montessori. After a lot of correspondence using the google translator, a lot of adventures in getting the documents and the tickets ready, a lot of researching, we set off to St. Petersburg via Delhi on 12th May. The flight to Almaty was spectacular. We saw the snow covered peaks of the Palmir Knot from the air. The Kazhaks call it something else, for it is approached from the North, the back half for us anyway. Almaty airport is like the old HAL airport (in Bangalore) modernised, small, difficult to get lost in. I did some of my writing there. We reached our destination on the night of 12th, just as twilight was setting in at 9.30. It was raining and dull, as we walked along the long, empty seeming corridors of the airport. Temperature was dropping to 5o C. Olga had come to pick us up. She spoke a lot of Russian, I tried English, and we both gave up the attempt, for there was no Google translator between us! When I woke up the next morning, it was as bright as Bangalore’s summer 6 AM at local time 5.00. Weather was cold and damp. There was lots to do for my presentation. So we decided to go on our trip in the afternoon. Alexandra, our guide, was a student of literature and very friendly. We drove around for 4 hours past the buildings, bridges and monuments, most of the time. On one or two occasions, we got down and walked around them. There were two or three cathedrals, several palaces, many statues seen from the vehicle, 8 – 10 bridges, and 1 – 2 gardens. Soil here is black, trees different, of course. I saw tulips and daffodils or narcissus, and violets here and there in the park. St.Petersburg is full of canals and rivers. The main river Neva is huge, like our big South Indian rivers during monsoon, for after all, this is the mouth of the river. There are several islands connected to the main land by bridges. We visited one of them, the one with Peter and Paul Fort, with a cathedral where all the Tsars are buried. Several passers-by greeted me with a namaste. Most buildings here open directly on to the road, no compound of any sort, palace or not. Then there are courtyards inside them, and that is where the grass and trees are. Doors are heavy, closed all the time, so a shop or even our hotel looks like any apartment. Quite a few people are extremely helpful, whether they know English or not. On 14th, we visited the Hermitage Museum. On 15th, I went to a school for special children called Dinamica (Dynamic) guided by a student of psychology who was to act as an interpreter, Aleena. We were shown around the school by Olga Kraysuk, and the arts section was very impressive. I was given several artwork made by children. This is an experimental school, and so is beautifully equipped. There are some 400 students, and nearly 200 teachers and volunteers. Children are either in wheel chairs or braces, and have the latest technical help possible. In one case, I saw a child being taught to balance on his feet. He stood on a small platform with supports on all three sides, something like a walker. The pressure he placed on his feet was visible on a computer screen. The adult (doctor, therapist or what, I do not know), was helping even it out. The Montessori class had material, but I saw only one child with one adult there. It looked like a therapy center. There seems to be no training programs in ST. Petersburg, and only one Montessori school, an expensive private one. Teachers of Dinamica are trained in Germany by Vijaya Varadarajan’s professor, Dr. Helbrugge. In the evening, we went to the concert in another local palace. The instruments were all folk, they had managed without instruments like violin, and it was amazing. We began our presentation at 3 PM on 16th at a lecture hall in the Psychology Department of St. Petersburg State University. There seemed to be at least 70 – 100 people there. Dr. Oleg Palmov represented the Department and offered supporting anecdotes and principles from his vast experience. On the first day, the audience sat unmoving and inert, in my eyes. I was unnerved – having someone spend so much money and effort, I did not want to make the audience sleep. I got down off the stage, and pushed for interaction, as gently as I could. The interpreter told me later that the Nordic community is used to sitting without response. Then I felt relieved. The Consul General for India was not present, but his second in command and consul, A.K Dan, was. He is from Delhi, and comes from a family of educationists, he said. He was there for the first session, and made his own little speech before we began. The seminar had some 60 – 70 attendees in a large class in the University. I had to speak into a mike, and the audience wore a headphone. They got the translation as I spoke. So their laughter was delayed by some 5 seconds, as was my own response to their questions. The second day, being in the morning, was a little better. We put up a Russian – English conversion chart on the screen and got people to try their hand at using post-it as Moveable Alphabet. My greatest worry was talking about spirituality, for I was not going to speak about the child in the church or temple or any such thing. I was going to talk of the inner timetable being a sign of spirituality in the child. I was also going to talk of touching the soul of the child. Fortunately, this section went across very well. One session of this day was handled by Natalia Andruschenko, Associate Professor, Department of Pediatric Neurology and Neurosurgery SZGMU. She spoke about Application of the Montessori method for the correction of the mental state of children with developmental disorders. She started from Itard, father of correctional pedagogy and Seguin, and the setting up of Montessori schools with the help of Franchetti couple, of the materials for these children being different from the classical montessori, and of the achievement of Helbrugge and the Munich centre. She also discussed the link between diagnostics and therapeutic support, including a Montessori perspective, and how the levels of activity are broken in the favour of this special child. Finally, therapeutic and pedagogic versions of treatment are linked, and parents are involved in the activities, to foster better development. Some questions were asked at the end, and my answers were well received. I was as hands on as I could be. At the end, everyone wanted to be photographed with my beautiful sari. I posed like a model with everyone, including the driver who took us back to the room. 1. Do you approve of improvised materials? Ans: Materials are not as important as following the principles. They are the key. Montessori did not have materials. She made them. She did not have colour tablets, she used silk thread on spools. Did it work? It did. Yes, good material is better. But you may have the most beautiful material, but you may do it all wrong. So what matter are the principles. 2. How do we ensure children can differentiate between what is appropriate behaviour and what is not? Freedom is given to the normalised child. Liberty is not license. And it is given in the prepared environment. At home, you have to set the rules, and they have to be fair and just. If the child does not behave the way he should, with responsibility, you act like the traditional school teacher. Present social behaviour activities often, including the use of bell, and ensure you are consistent. Remove materials which the children mishandle, let them work with what they can, and instead of presentations, insist that the rules of the class are followed. Do this for a week or two and your class will be normalised. A four day refresher course, covering the Pre primary curriculum was conducted during the summer of 2010 by Smt Shahnaz Shakeer, Smt. Nethravathi, Smt. Aparna and Smt.Nandini. 17 teachers participated in this program, wherein extensions of activities in the pre -primary, exploration and application of concepts learnt were also discussed. Nandini Prakash was invited by CMTC to give a workshop on ‘Science in the Preprimary’ on the 7th August. Shahnaz accompanied her, as a part of Team IIMS. The workshop began at 9.30 and ended at 12.30. It was a very interactive session, something we felt was totally new to them. While Nandini’s session was the theory behind the presentations, Shahnaz handled taking baric tablets to Archimedes principle, Greek Civilization, and thus a glimpse into Cosmic Education. The session in the morning began with a discussion of theory of presenting science by Nandini Prakash. It started of with why Science should be given, the needs of the child in the preprimary, in the primary as well as in the transition period. The need to give “whats” for the conversion to “whys” at a later stage was discussed. The beginning of cosmic education in the preprimary was another topic that was touched upon. Shahnaz Shakeer helped the adults take Baric Tablets to Archimedes principle through several interesting activities. Later the participants broke up into groups and explored many concepts like mixtures and their separation, terminology around solutions, kinds of lamina, characteresticts of insects etc. All of them found the experiences stimulating. The last session involved discussing the details of setting up a science corner and seasonality of experiments, the need to take experiments to a higher level, fix with language or arts or apply the concept elsewhere was stressed on. The session ended with all participants enthusiastically promising to apply the ideas they had come up with. The Pre-primary Language Refresher Course held on 24th May 2012 was attended by 37 candidates from various schools. Aparna Desraj Urs, Gowthami Bhargav and Shahnaz Shakeer acted as the resource persons for the session, assisted by Meerabai, Usha and Savitha. As this was a one-day program, certain areas of the curriculum were selected for revision, based on the observation of the needs of adults in school. The program began with a discussion of the theory behind the language presentations, and a recollection of the direct and indirect aims. The next item on the discussion was the enrichment of vocabulary. Reading stories in English and Hindi were tried out. The team discussed the importance of introducing new words in different languages to children. Discussion of presentations of language activities began with the Sand Paper Letters. The group spent some time creating a list of familiar interesting nouns for all the letters, to be used during the second part of the presentation. They also revised the importance of Group Activities in Oral Phonetic Analysis, the age for presenting them and the duration to which they should be continued. The ideal time and method of presenting second language was also considered. The next session began with discussing sensitive period for language presentations. Some activities for the child who did not receive them on time were also touched upon. After lunch, the participants got a glimpse into Grammatical and Logical analysis. Methods of keeping concepts alive were part of the session. The day ended with the collection of feedback and suggestions for further programs. The participants felt that the refresher course was very informative and enlightening. Some of the things they thought they would take to class were the order and time frame of presentations and the importance of enough time allocation for the Oral Phonetic Analysis activities. They felt more workshops were required in Grammar and Logical Analysis, apart from other areas like Arithmetic, Exercises of Practical Life and culture. ‘An informative workshop. A lot of points to ponder on!’ stated one participant. ‘It has been enlightening and I was able to strategise my language presentations so that the whole area can be covered. The grammar and logical analysis are mostly neglected but now it can be given methodically to the child’ opined another. One of the requests was for ‘A little more information about how to go about with sight words and spelling correction.’ A school authority reported that their staff now felt very enthused about presenting second language and wanted to start with Kannada. 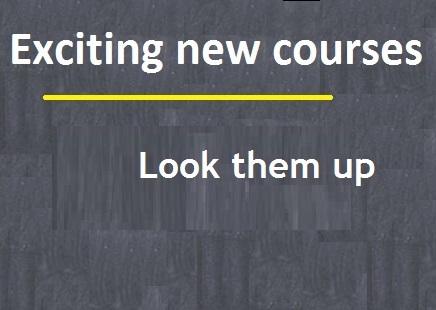 What any training institute requires from a course like this is to motivate their alumni to keep learning. One of the most satisfactory remark we got was ‘One thing everybody realised was that we need to update ourselves and even our files.’ We even got a volunteer with a ‘deep desire to correct the language files this year’! Visit the Downloads section at the Indian Montessori Association website to download the .pdf handout from this session. IIMS has been conducting Directors’ Training for the faculty of the Institute in the preprimary section under the aegis of our Co-Director, Smt. Radha Nagaraj, and for the primary through our Direcror, Prof. Rajendra Gupta. This has empowered them in their work at the Institute and elsewhere. The Directors’ training of both preprimary and primary begun in a theoretical manner in 2005, and continued into some practical work in the primary during 2006. This was revived under the management of Shahnaz Shakeer in May 2009. 1. To strenghten the knowledge base of those working at the Institute so that there is clarity and consistency in our work. 2. To train those interested in becoming Directors so that the method can spread horizontally. 3. To define what is the ideology of IIMS, so that we can clearly identify who are with our perception of the ideal and who are not. 4. To clearly distinguish what is the ideal Montessori method, and link it to the Institute so that the place of the Institute is recognised in the field of education. Intially, the training was meant for the staff of the Institute. It included an elaborate combination of work on theory, practical and discussions. It was to include rewriting of files as well as demonstration sessions. These sessions were to be held once a month, with Radha Nagaraj in charge of preprimary. Later in the year, work in the primary would begin under the guidance of Rajendra Gupta. As the academic year commenced, it was found that the pace could not be kept up for the entire group. Instead of team work, individual candidates continued work in specific areas. Presentations were standardised and written up, creating master files. We could not work out more than the basics of some areas in the primary curriculum, particularly due to the ill-health of Prof. Gupta. Yet there was some amount of standardisation even here, which was to be built upon in the next year or two. The work done in either the preprimary or primary is linked to research in the field, particularly since 2010 – 11. 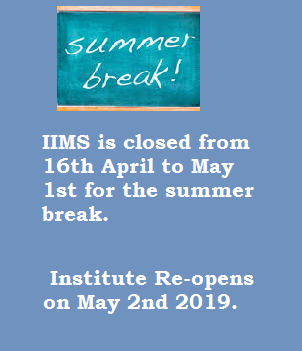 Whatever has been worked out is tried out in several institutions with children, and only when it is accepted is it made a part of the whole Now, IIMS has decided to formalise the process carried out so far, and create a specific structure. More details of this project will be announced later. It is a well-known fact that children learn best when the medium of instruction is the mother tongue. It is also clear that the knowledge of English is a must in the current scenario. Keeping both these concepts in mind, IIMS has worked out method of offering more than one language without handicapping the learning in the other. On the other hand, we have documented our findings to show that it is possible to build the development of English language skills on the basis of skills developed with local languages. Summer of 2006, the teachers of Vivekananda Girijana Kalyana Kendra, BR. Hills, underwent a week’s training under the aegis of Smt. Nandini Prakash, an initiative to assist the school in setting up a Kannada and Maths work room for the benefit of the Soliga children. The results of introducing the methods of Montessori were remarkable, the absenteeism rate reduced drastically. Various schools are interested and keen on introducing the Montessori Method of teaching in their current system. Due to dearth of resources and expertise, the schools fail to meet the ideal standards expected of a Montessori institution. IIMS ensures that these schools are provided with the right aid and guidance to reach the prescribed standards. Each year, the Institution has been working with more schools as consultants.